Coping with the stresses of daily life may be as simple as creating a ritual that allows you to step away, for even just 20 minutes. In this episode of the Raiseology Podcast, Dr. Beth Ricanati shares how a small ritual (making challah once a week) really changed her life years ago. We discuss how to identify a ritual that might provide the same stress reduction and how to start now – even when it feels like you have no time! Welcome to the Raiseology podcast with your host, pediatrician and parenting mentor Sharon Somekh, here to empower parents to raise resilient and independent children. Grab your coffee or your Margarita and let’s get started. This podcast is for informational purposes only and should be used to supplement rather than substitute the care provided by your physician. Sharon: If you’d like to discuss your specific situation and how the Raiseology 60 day system can help transform your life, your relationship with your spouse, your relationship with your children, and most importantly your relationship with yourself. Book a free 15 minute call at Raiseology.as.me/consultation. Welcome everyone to the Raiseology podcast, today I have with me Dr. Beth Ricanati. 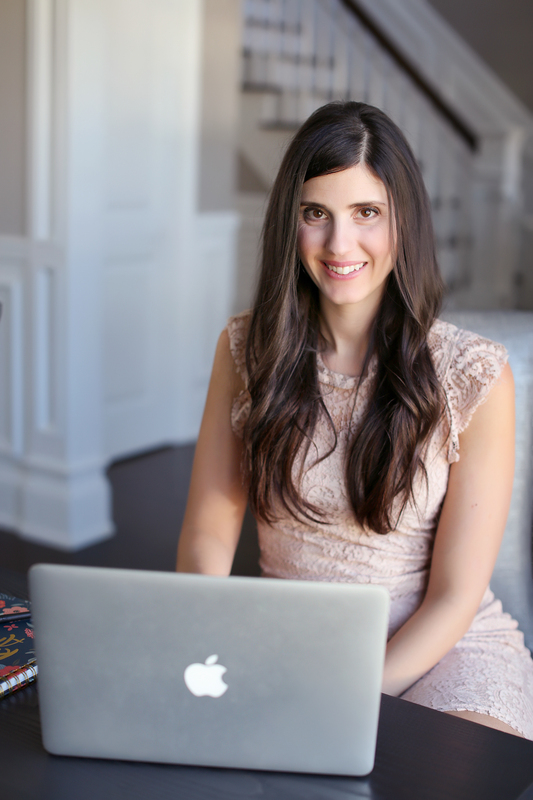 She is an award-winning author who has built her career around bringing wellness into women’s everyday lives, especially busy moms, struggling life and children and we know all about that here. She has practiced internal medicine at the New York Presbyterian Columbia University Medical Center and the Cleveland Clinic. In addition, her writings have appeared in peer reviewed medical journals and many lifestyle blogs. Dr. Ricanati lives in the Los Angeles area. With her family and one challahl-loving dog. And she’s here today to tell us a little bit more about herself and her, her new book and her journey. So, welcome! Beth: Thank you so much. I’m honored to be here this morning. Sharon: Oh, we’re so excited to have you. So why don’t you tell us a little bit more about your family and then let’s get into your book and why it’s so pertinent and important for the moms listening to hear all about it. Beth: Absolutely. So I am a mom with three kids. They are teenagers. And I somehow had the brilliant, not so brilliant idea that having three kids in four years was going to be great. And when they were little it was very difficult and I was overwhelmed. And hence I started, uh, making challah and it’s turned into this incredible journey. And, uh, now I have a book and I’m pleased to say the kids are older and it has been great in hindsight that they are close in age because they are great friends. But it was hard when they were little and I was overwhelmed. Sharon: I can imagine. Um, I mean my kids are a little bit farther apart in age, um, but having kids close in age can be really, really challenging. So, um, hats off to you for sure. Beth: It was crazy, but now it’s actually quite fun. Sharon: Yeah, I mean it’s so nice now that they’re sort of grown and they’re, um, they have a lot more in common and they probably don’t fight quite as often. Beth: They’re actually good friends. It’s, it’s really, um, it’s really fun and they’re excited to see what’s going on with the book and they’re excited to eat all the challah. So it’s been quite a, uh, an experience. Sharon: Yeah. So let’s talk about that a little bit. So first, some people listening may not even know what challah is. Um, and um, I would love to hear the name of your book and what it really is all about. Beth: Absolutely. So the book is called Braided, a Journey of a Thousand Challahs. And challah is a bread that we have on Friday nights for Shabbat. And I make it actually every Friday. I started at the suggestion of a girlfriend about 10 years ago when I really was so stressed out and overwhelmed. I was practicing as a physician raising these three little kids, trying to be a good wife and a mother and a friend and a daughter. And it just, trying to do it all and it’s hard to do it all and do it all well and do it all at once. And so I started, um, I didn’t set out for this to be a journey that it has become. I actually just made the bread because a friend suggested that I, that I try make challah that year for the Jewish new year. But it was such a transformative experience to just stop. And that day when I made challah for the first time, there I was, if you can pictured at the kitchen counter with six ingredients in a bowl and I wasn’t answering my pager and I wasn’t picking up toys or folding laundry, I wasn’t doing anything but making bread or trying to make bread. And it was fantastic to just take 20 minutes, 30 minutes, and just be, and I loved it. And the bread was so yummy and the kids were so excited that I did it again the next week. And before I knew it, I was doing this every Friday and rearranging my life to make sure I, I had time to do this. And about five years ago maybe, I realized I had learned so many cool lessons making bread and I couldn’t be the only stressed out mom on the block that I wanted to share those. And then that’s how the book came about this past September. And it’s been super fun. Um, getting out and sharing it and talking about it and making lots of challah in the process. Sharon: Yeah, that’s awesome. So, you know, I mean, I have made challah before. Um, and it can be quite relaxing. But you know, I think that challah aside, it’s really just special and important to have that, um, that time to yourself and the fact that you were able to really block out that time and recognize that you needed that time and it was super important for you and, and you didn’t allow anything else to interrupt it. And I think that that’s what so many moms have a hard time of doing and such a challenge. Beth: Well, we’re caregivers. And while that’s fantastic, what I’ve realized is that certainly for me at the time 10 years ago, and I see it all the time in my practice and I see it in my personal life, if you are trying to give from a place of emptiness, it’s really hard to do that. We have to stop and take care of ourselves first. You know, it’s like when you’re on an airplane, right? And they show the before you take off and the flight attendant, she goes through the safety procedures and she drops the oxygen mask and demonstrates and says, you know, in case of an emergency, you’ve got to put the oxygen mask on yourself first and then help those around you. I think we forget as Moms, and I know I certainly forgot for a long time to actually stop and take care of myself first. But the problem with that is that if, if you keep doing that, then you really don’t have a lot to actually give and you can get incredibly stressed out and overwhelmed and burned out. And that’s where I found myself all those years ago. And so having a practice of mindfulness practice, whatever it is, and I think it of course should be making challah, but in all seriousness, what, what, whatever it may be for you, we have to, as moms find a way to, to replenish and to nourish so that were there and able to, to take care of those around us. Sharon: Yeah, I couldn’t agree more. And actually in my group coaching program, we talk a lot about that as sort of the first step to being able to keep calm and being able to draw more patience for kids and um, and not just for our kids, for our husbands. Beth: Exactly what and for ourselves. Sharon: Yeah. And for ourselves. And I think that it is super, uh, it is really important to have something that helps you stay calm and be focused on yourself for a short period of time. If you can’t take longer than that. Beth: Yeah. It does not have to be long. You’re absolutely right. Sharon: Yeah. For me it’s, um, honestly, I, I had stepped away from this for a while but recently started again and I get up early in the morning before my kids and I have my cup of coffee and I read and it is so life changing really the way that I’m able to handle my mornings and whatever challenges are really thrown at me throughout the day because I had that time to myself. Beth: That’s a great way to start the day. Beth: yes it is. But I think you’re right then, then you’re set and you’ve got your, you’re grounded for the day. And it’s, it’s really important that, that we have these rituals in our lives. We need to have them. It, it’s not indulgent. I think it’s absolutely essential to our health. I mean, we, we know as physicians, I mean you don’t even have to be a physician, but that we know that stress can make us sick for sure and kind of illness if you already have. I mean, it’s just so debilitating and we have to have ways to manage our stress for our health, for our wellbeing. Sharon: Yeah. So can you tell us one of the stories from your book? Beth: Sure. Oh, they’re just so many. Um, which I really like. One of the stories that I really like is that, um, I was reminded as a, in my clinical practice and then I write about this cause I’m reminded about it on Fridays when I make challah. I was reminded a long time ago from a patient that our kids are always watching us. I had a patient come back and tell me a story about how her children had thought something maybe it was wrong with her because she was now eating breakfast with them and she had never eaten breakfast with them, even though she had always talked about the importance of eating breakfast. But they actually had thought that that maybe moms don’t eat breakfast. She never, and she was telling me the story in the context of she didn’t fully appreciate until that moment just how much actions speak louder than words. And what we say as parents is so important, but it’s what we do as parents that really, really matters. And I think about that sometimes on Fridays when, um, you know, I love to make challah and I rearrange my life to make challah. But every once in a while I’m like, oh my goodness, I don’t know if I can fit this in today. And then I have to stop and think, wait a minute, I have to fit this in today because I talk about stress management, but I have to actually practice stress management for it to really resonate with not only me, but for my kids. And you know those in my world. And so I think about that story a lot. I don’t have any idea if she realized how impactful, I think I got more out of that interaction that day from that patient, then perhaps she got in coming to see me. It was really amazing. So I’ve, I’ve included that in the book because it’s just such a great reminder to me as a mom that, that what we say to our kids while it’s valuable, it’s really what we do, that they’re watching. Sharon: And I always tell them, it’s also not always what you say, but how you say things. Beth: Oh, that’s a good one. That’s a good option. Yes. Yes, yes. Words really are powerful. They matter. Sharon: Yeah. But you know, we have that too where, you know, we talk about how the kids are really always watching us and you know that because you see them reacting to things in a way that definitely you must have done at some point and it’s not always something you’re super proud of. Right. Um, sometimes you see your kids doing something that you’re pretty sure they learned from you and you want to undo it. The best way to undo it in them is to really undo it in yourself first. Beth: Yeah, that is a great insight. Sharon: Yeah. And we’ve definitely had that situation in our house. Um, it’s easy to get stressed and to forget what is truly important in life, especially when you’re a busy mom and you have things going on. And some, some of the moms listening are working and some aren’t, but they’re equally busy. Um, and I think that it, we’ve had a lot of discussions about self care on this podcast. And I think the reason I keep inviting people to talk about that is because I, I just feel it’s so important to, to really stress this point because it can help you make all of the changes that you want. Um, and it really is the cornerstone for that. Um, so I would love to hear about sort of what are some of the ways that you, um, that you recommend moms can start following your path and, and being on this journey with you? Beth: Yeah, so I think that, um, there are a couple of ways to, to do that. And, and, and what I’ve learned along the way is, one, having a meaningful ritual can be a great place to start. So, you know, I do think for me that was making challah, but maybe it’s gardening. I’m, maybe it’s knitting or maybe it’s what, you know, whatever. For you it’s, I love this idea of getting up in the morning, having coffee and reading before you start the day. I think that’s beautiful. I also think that having a community is really, really powerful and, um, to being with other moms or other friends and going through this experience together I think can be very profound. I mean, there’s certainly a lot of research about this, but, but we know that when you’re, when you’re in a group, there’s a lot of ancillary benefits. It’s not only fun and enjoyable, but it’s also a great way to combat loneliness. And I certainly felt when my kids were little, I felt really alone because I was so much in caregiver mode that I didn’t take the time to, um, or I didn’t have the time to really foster other relationships. And it can be really hard if you’re spending a lot of time just taking care of kids. And I had gone from a really busy work environment to suddenly having all these little kids and it’s jarring. And so I have certainly realized over time, and part of it is because I often make challah now with other women and I’m surrounded by, by groups that there’s something really fantastic about being in a community. So I would recommend that as well. Sharon: Yeah, I think that that is really great advice and it’s real, the reason I started my parenting Facebook community online because I feel like there are so many things that parents are experiencing and they think that they’re the only one that’s experiencing it, but we all know that we’re sharing the experience and something you’re griping about probably some things griping about too. Beth: Yeah. Yeah. There’s a lot of universal shared experiences that we don’t always talk about, but it’s great that we’re in this together. Sharon: Yeah. Um, so what are the steps that you think are important to take to make this happen? Beth: So I think in terms of, of a ritual, it’s not necessarily having a grand master plan, rather, I think it’s just simply doing things. You know, there’s this whole concept of neuroplasticity and how we were not fixed. And I find that a really powerful concept for myself and for my kids that, that just because we think a certain way doesn’t mean that we can’t change and we can’t grow. So, you know, 10 years ago I didn’t have a a, I wasn’t a baker, but it didn’t mean that I couldn’t learn how to make challah and I didn’t at that point and have a, a really good handle on how to manage my stress. But it didn’t mean that I couldn’t learn that or just because let’s say one of my kids isn’t great at and then fill in the blank, it doesn’t mean that they can’t learn that, you know, whether it’s an academic subject or an extracurricular. So I think it’s just honestly getting in the game and trying something because we have to have ways to manage stress. So if for example, you want to try knitting, then try it. And if you want to, you know, as you are doing, getting up in the morning and reading, give it a go. Because what happens is, getting back to this idea of neuroplasticity, what’s really incredible is that as you do something, you’re making a new connection. You’re making these new neuronal connections and the more you do that, then you strengthen those connections and it becomes a new pattern. You can act actually, therefore change patterns this way. It’s really, it’s behavior modification. Just getting in the game and doing it. Sharon: Yeah, I like that advice of just sort of time things because you never know what you might need. Sometimes the things do have given the least amount of thought to are the things that bring you the most joy. So it’s definitely, um, it’s something that I need to be better at too. Um, and I try very much to talk to my kids about that. Just because you’re not good at something doesn’t mean you can’t get better, but you know, like we said you’ve got to model the behavior. Sharon: So well thank you so much for sharing all of that. Um, and can you repeat the name of the book again and I will definitely put a link to purchase the book on Amazon in the show notes. Um, and um, and I will also put links to um, Dr. Ricanati’s website and Instagram and um, if you want to share that here to those listening so that everyone can follow along on your journey, that would be awesome. Beth: Great. Thank you. The book is called a breeded, a journey of a thousand Halas and uh, yes, it is available on Amazon and where books are sold. Thank you. And in addition, I can be found, uh, I have a website, www.housecallsforwellness.com. That is also my Instagram handle at house calls for wellness. And I have a Facebook page on Facebook, Beth Ricanati Author. Sharon: Okay, thank you. And thank you so much for sharing all of that and thank you for being here. Um, I wish you the best of luck and I look forward to following along with your journey myself. Beth: Fantastic. Thank you so much. Thanks for listening to the Raiseology podcast. Head over to www.Raiseology.com where you’ll find plenty of, you’ve got this resources for parents and any links or tools mentioned in today’s show. Be sure to hit subscribe on your podcatcher so that you can listen to the next episode the minute it’s out and till next time, have an empowered week.